But this week my bike's in the shop. 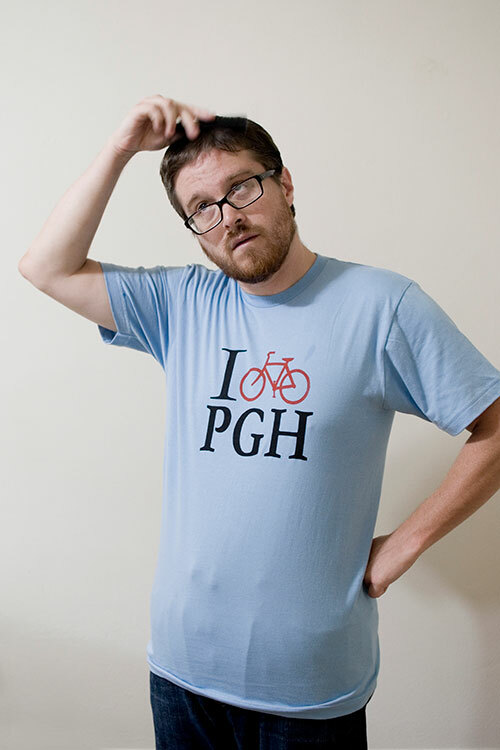 A Garbella "I Bike PGH" tee fished out of her misprint bin. I suppose it says something that I noticed what the misprint was immediately, while Dorothy thought it looked fine.